Eudlo is a small hinterland town and locality on the Sunshine Coast in Queensland, Australia. At the 2011 Australian Census Eudlo recorded a population of 1,128. Eudlo Creek rises in the south west of Eudlo. Also in the areas is Mossy Bank Mountain, a summit along an easterly protruding spur of the Blackall Range. The name of Eudlo originated from the local Aboriginal term for the fresh water eel (Anguilla reinhardtii). Cattlemen and timbergetters came to the area from the 1860s, but land was not made available for agricultural selection until the 1880s. The first selector was James Steele in 1887. In 1891, the section of the North Coast railway line from Landsborough to Yandina was opened. It brought closer settlement to the whole district, and facilitated the transport of passengers, timber, fruit and produce. Eudlo Post Office opened on 1 March 1891. A sawmill was built at Eudlo and large quantities of timber from the Blackall Range, and surrounding forests, were either treated at the mill or railed to other centres. The timber industry was the means of livelihood for the early settlers. Eudlo State School was opened on 6 September 1897. The Sunshine Coast Regional Council operates a mobile library service which visits the Community Hall at Rosebed Street. ^ a b Australian Bureau of Statistics (31 October 2012). "Eudlo (State Suburb)". 2011 Census QuickStats. Retrieved 8 October 2014. ^ "Eudlo - town in the Sunshine Coat Region (entry 11909)". Queensland Place Names. Queensland Government. Retrieved 28 September 2017. ^ "Eudlo - locality in the Sunshine Coast Region (entry 49684)". Queensland Place Names. Queensland Government. Retrieved 28 September 2017. ^ "Place Name Origins - Maroochy Shire Council". Maroochy Shire. 2006. Archived from the original on 10 December 2006. ^ "Opening and closing dates of Queensland Schools". Queensland Government. Retrieved 2 October 2015. 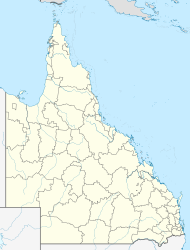 Wikimedia Commons has media related to Eudlo, Queensland. This page was last edited on 23 April 2019, at 02:21 (UTC).